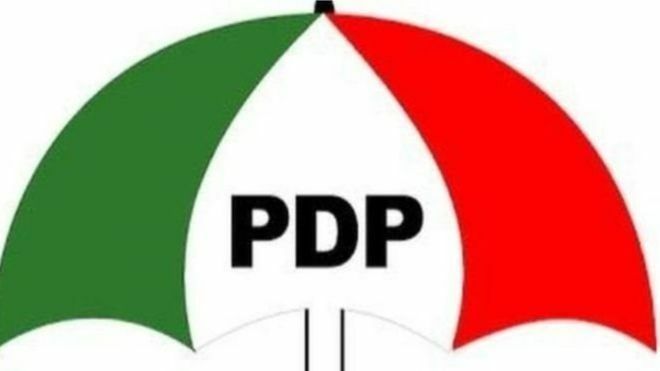 Former Plateau State Governor and Nigeria’s ex-Ambassador to Kenya, Ambassador Fidelis Tapgun, said it was difficult for him to identify the logo of the People’s Democratic Party (PDP) due to the large number of parties on the ballot paper. Tapgun endorsed the two party system introduced by the then military government, saying it was easier and cheaper to run. He spoke after casting his vote in Shendam Local Government Area of Plateau State. He said the presidential candidate of PDP, Alhaji Atiku Abubakar will emerge victorious at the end of the election, noting that the fears that the election will turn violent has been dismissed with the orderly and peaceful conduct of the people during the election. “It was difficult for me to identify my party because of the multiple parties on the ballot paper; it was difficult for even the educated people. I think the two party system introduced by the military was good,” the former governor said. Meanwhile, Deputy Director, Media and Publicity Committee of the All Progressives Congress (APC) Campaign Council, Plateau State and Commissioner for Lands and Survey, Festus Fuanter, said the massive turnout was as a result of the awareness created after the postponed election. He noted that the election has been peaceful despite difficulties encountered with cards readers in some places which were later addressed by the technical unit of INEC.